Nowadays, there’re plenty of high-quality digital pianos in the sub-800$ price range that, if chosen correctly, will meet the needs of intermediate and recreational piano players, and provide a lot of room to grow. In the past 2 years, most major manufacturers (Yamaha, Kawai, Roland) have introduced updated versions of their intermediate digital pianos with fully-weighted action, which have become even more realistic and technologically advanced. Unfortunately, as the market becomes more saturated, and new models are being introduced, it becomes more difficult to find the right instrument. Moreover, an intermediate piano means different things to different manufacturers. So my main goal is to make choosing your digital piano as straightforward and enjoyable as possible by explaining every aspect of each instrument and comparing them thoroughly so that you know exactly what they offer. First, I encourage you to take a look at the comparison table below to familiarize yourself with all the digital pianos that made it into the list. Allows you to record the audio output of the instrument and save it to a flash drive usually in WAV format (Linear PCM, 16bit, 44.1 kHz, Stereo). Ability to change the standard “Equal Temperament” tuning to other tuning systems better suited for playing certain styles of music (Indian, Arabian, classical). Some pianos allow you change the conventional click sound of the metronome to various drum rhythms. This port allows you to connect your keyboard to a computer/tablet and use it as a MIDI controller with music apps like GarageBand, Synthesia, FL Studio, etc. Allows you to connect to other devices wirelessly (to exhnage MIDI data and control music making apps) in a similar way as when using USB type B port but without any cables. Note that some pianos can only tranfer Audio data via Bluetooth, others can only tranfer MIDI. Some pianos support both MIDI and Audio via Bluetooth. 7) USB MIDI or Bluetooth MIDI connectivity. 8) Standard functions like metronome, transpose, layering etc. Now let’s take a closer look at each of the instruments try to figure out which of them is best suited to your needs and experience. Compact & Lightweight digital pianos aimed to provide a realistic piano playing experience. They usually have minimal extra sounds and features. Suitable for gigs as well as for home use. This type of digital pianos is a perfect choice for home use. Console digital pianos come with a furniture-style cabinet and 3 piano pedals. They are not meant to be moved around a lot and also mainly target piano players. These digital pianos not only provide a realistic piano sound and feel, but also have hundreds of instrument sounds, accompaniment styles, songs and other so-called bells and whistles designed to bring more fun and productivity to your playing sessions. They are also perfect for non-professional music making as they usually offer multi-track MIDI and audio recording function. Kawai has recently updated its portable digital piano lineup with the new ES110. It’s the most affordable piano in Kawai’s arsenal, but without a doubt, the ES110 is one of the most realistic digital pianos in its class. Kawai is known for its highly realistic keyboard actions and incredibly realistic sound. Well, the ES110 is no exception. 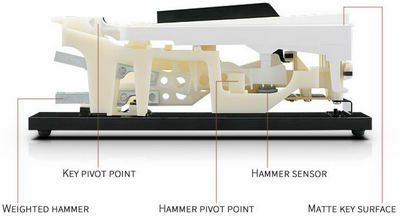 The piano features the newly designed Responsive Hammer Compact action with 88 full-size matte-finished keys. Even though the keyboard uses 2-sensor technology and doesn’t have simulated Ivory keytops, it feels very responsive and nice to the touch and, in my opinion, beats every other action on this list. The ES110’s sound is another area I’m extremely pleased with. The piano uses Harmonic Imaging™ (HI) sound processor, which delivers a very realistic, natural piano sound sampled from the Kawai 9-foot EX Concert Grand Piano. There’re 10 different piano tones recorded using different methods and equipment in order to recreate various nuances and characters of sound (studio, mellow, modern, etc.). Moreover, the ES110 allows you to adjust various elements of piano sound such as damper resonance, fall-back noise, damper noise, temperament, etc. The P-125/DGX-660 and the ES110 are the only pianos in this price range that have 192-note polyphony. Apart from realistic playing expirience the ES110 offers some nice “bells and whistles”. The piano comes with 106 built-in songs, MIDI recorder, and 100 drum patterns to practice your timing. Kawai continues to stick with traditional MIDI In/Out ports, which nowadays are being replaced by USB ports. While I also prefer the USB type B port for connecting to a computer, the ES110 offers an even better solution. The piano supports Bluetooth MIDI connectivity, which means you can connect to any smart device supporting Bluetooth and exchange MIDI data wirelessly without using any cables. So for example, you can connect the ES110 to the iPad and create music with the GarageBand app or learn new songs with Synthesia, etc. Another advantage of the ES110 is that unlike the other keyboards, it comes with a high-quality chrome sustain pedal with half pedal support. Kawai is probably not as popular as Yamaha brand, but if you’re looking for an instrument with a natural piano sound and feel and don’t bother with extra sounds and features, the Kawai ES110 is the number one piano to consider. In this price range, it’s really hard to beat this keyboard when it comes to piano playing. The P-125 is the new midrange model in Yamaha’s Portable (P) series. Just like its extremely popular predecessor (P-115), this keyboard is going to be just as successful considering all the new features and improvements it brings over the previous release. That’s why it’s usually the first keyboard intermediate players consider for purchase. The P-125 features 88 fully-weighted keys with Graded Hammer Standard (GHS) action. It’s Yamaha’s most basic weighted system, which can also be found in the P-45 (next model down). But it’s still a decent action for a keyboard designed with portability in mind. The GHS utilizes 2-sensor detection system and has smooth plastic keys (no simulated ivory feel); the black keys have a matte finish which gives them a nice non-slippery feel. At the heart of the piano is the Pure CF sound engine, which provides an incredible piano sound sampled from the Yamaha CFIIIS 9′ Concert Grand. The 192-note polyphony ensures you hear every detail of your performance without notes being cut off even when you layer multiple sounds or use backing tracks. The P-125 also has a very decent 2-way sound syste, which consists of four speakers with 2 x 7W amplifiers. They deliver and a rich, well-balanced sound and thanks to the two dedicated true-circle speakers the piano a great bass response. The P-125 has a standard set of features, nothing groundbreaking here. Everything from a metronome and transpose function to Split/Dual/Duo Modes and onboard MIDI recorder is available with this piano. It’s worth mentioning that unlike its main competitors (with 1-track MIDI recorder), the P-125 has a 2-track recorder, which will allow you to record left and right hand to a separate track, and practice each hand part independently turning off one of the tracks. Unfortunately, the P-125 doesn’t offer many options for sound customization. It doesn’t have preset temperaments (other than Equal) and doesn’t allow you to adjust the elements of piano sound like damper noise, resonance, etc. 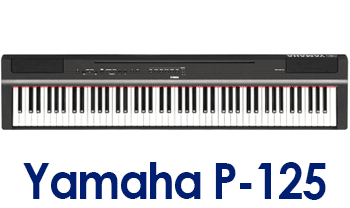 Despite the fact that some other pianos on the list have more advanced features such as Bluetooth connectivity, more options for sound customization, and more built-in sounds, the Yamaha P-125 is still a solid intermediate piano for anyone seeking reliable action and authentic piano sound in a compact, gig-friendly instrument. The Roland FP-30 is the main competitor to the previous two pianos (P-125 and ES110). I’ve seen lots of players arguing about which instrument sounds and feels more realistic. But really, it all comes down to your personal preferences. And while the best option is to compare these three pianos in person, it’s not always possible. So let’s look at what the FP-30 has to offer and how it compares to the pianos from Yamaha and Kawai so that you can choose the one that best suits your needs. The FP-30 is a relatively new and the least expensive model from Roland’s portable FP series. The piano is equipped with the PHA-4 Standard Keyboard with Escapement and Ivory Feel. The Casio PX-770 and the Roland FP-30 are the only pianos in this price range that offer simulated Ivory key tops and utilize triple-sensor detection system, which allows for faster note repetition and more responsive playing experience. While Kawai’s RHC action seemed a little bit more realistic to my fingers, the PHA-4 is my second favorite action in terms of authenticity and responsiveness. When it comes to sound, the FP-30 is just as good. At the heart of the instrument is Roland’s famous SuperNATURAL modeling technology, which is known for its rich and deep piano sound easily distinguishable from other brands. The FP-30 is the only piano at this price point that simulates string resonance and key off resonance found on an acoustic piano, which makes the sound even more realistic. Thanks to the powerful 2 x 11W speaker system, the piano can also boast a very good dynamic range from the soft pianissimo to the thunderous fortissimo. The FP-30 offers a wide selection of instrument sounds (34) as well as all the standard features. 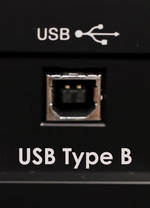 The piano is equipped with two types of USB ports, type B and type A. The USB type A (not available on the P-125, ES110) can be used to plug in a flash drive to the piano to playback MIDI/WAV files which you can also play along with. Moreover, the piano supports Bluetooth MIDI connectivity, which you can use with Roland’s Piano Partner app and tons of other music apps for music making, learning, etc. Unfortunately, the FP-30 doesn’t have a Lesson function, which means you won’t be able to practice the R and the L hand parts of the built-in/external songs separately. The good news is that certain apps (e.g. FlowKey , Synthesia ) can easily solve that problem, allowing you to use hundreds of songs for practice each hand part independently. The Roland FP-30 is about 100$ more than the Yamaha but, in my opinion, it’s worth the extra money. Realistic hammer action, lots of nice features and an incredible piano sound are the things that make the FP-30 one of the best portable digital pianos under 1000$. When it comes to console digital pianos, the PX770 is the only piano in this price range that I recommend. The PX-770 is the latest piano in Casio’s Privia line and was released just a few months ago. The piano comes with a furniture-style cabinet and 3 piano pedals. The piano features Casio’s well-known 3-sensor Graded Hammer Action Keyboard II with simulated Ivory & Ebony key tops, which feels quite realistic and have proven to be a solid action for beginner through intermediate+ piano players. The piano is equipped with the upgraded AiR sound source, which comes with a new 4-layer Grand Piano sound and 18 other instrument sounds. And you can tell right away that the new piano tone has been considerably improved with more natural resonance and decay times. It’s safe to say that nowadays Casio offers piano sound, which is on par with the sound of Kawai, Roland, and other high-end brands. Moreover, thanks to the cabinet design, the PX-770 sounds slightly fuller and deeper than the portable models, despite the 2 x 8W speakers, which are not the most powerful on the list. The PX-770 is equipped with a standard set of features including a metronome, layer/split function, 1-track MIDI recorder, USB type B port, etc. The piano also offers Casio’s unique feature called Concert Play, which allows you to practice and play along with live recordings (10 different tunes) of a symphony orchestra. I really had a lot of fun playing around with this feature. Overall the Casio PX-770 offers incredible value for the money, and I can’t think of any other high-quality console digital piano in this price range that could compete with this machine. The piano would be a great alternative to the previous three pianos for those who don’t care much about portability and wants a full-featured digital piano with a cabinet and 3 pedals, which feels and sounds close to a real acoustic piano. In 2016 Yamaha introduced the DGX-660, a new digital piano in the Portable Grand line, which replaced the successful DGX-650 model. When it comes to piano playing, the DGX-660 is almost identical to the P-125 model. The keyboards share the same Graded Hammer Standard action, the Pure CF sound engine, and 192-note polyphony. Aside from realistic piano playing experience, the DGX-660 offers a whole world of sounds, rhythms, songs as well as impressive capabilities for learning and music making. There are 554 instrument sounds, 205 accompaniment styles, 100 preset songs, over 300 sound effects available for your playing enjoyment. To record your music, you can use either 6-track MIDI recorder, or audio recorder, which will record the audio output of the instrument (rather than MIDI data). Yamaha Education Suite (Y.E.S) provide 3-step lesson function, which you can use to practice preset songs. 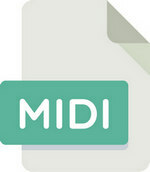 You can also download hundreds of MIDI songs from the Internet and load them into the instrument. The DGX-660’s monochrome display will show you the notes and the keys (on the virtual on-screen keyboard) you need to play at each point of time. The connectivity capabilities of the DGX-660 are also quite impressive. Along with the standard headphone and sustain jack, the piano is equipped with two types of USB ports (type A and type B), an AUX In port (to play music from your smartphone/ mp3-player through the DGX-660’s speakers) as well as a Mic In port, which will allow you to connect a microphone to the piano and sing along as you play. The good thing about the DGX-660 is that it comes with a sturdy matching stand, which will allow you to save some money on buying a stand for the instrument. Unfortunately, with the increased amount of features, Yamaha had to increase the size of the instrument as well. The DGX-660 is not as portable and gig-friendly as the P-125 and therefore mostly suitable for home use. Compared to the P-125, the DGX-660 is about 6 inches deeper and 35 lbs heavier. At the same time, due to the bigger front-facing speakers, the DGX-660 sounds slightly fuller and richer than the P-125. The Yamaha DGX-660 would be a great alternative to regular digital pianos that only a few built-in sounds and basic features. The DGX-660, on the other hand, offers much more than realistic piano sound and feel. It’s designed to make playing, learning and making music as fun and intersting as possible. Kids and those who may feel bored after long piano practice sessions will enjoy playing around with all the fun and useful features on the keyboard, which will keep them engaged and interested for hours. The CGP-700 is the direct competitor to the DGX-660. Not only because the keyboards have the same price tag, but also because they are indeed very similar. The CGP-700 , just like the DGX-660, is a very versatile keyboard that offers a realistic piano experience as well as lots of features for music production and learning. The piano features Casio’s famous tri-sensor Scaled Hammer Action Keyboard II with simulated Ivory & Ebony keytops, which to my taste provides a more realistic feel than the DGX-660’s GHS keyboard. It’s the same keyboard as used in the PX-770 model that we’ve talked about above. Instead, it features MXi (Multi-Expressive Integrated) sound processor, which also provides a very full and rich sound, which delivered by the 40W speakers is almost unbeatable in this price range. However, listening through headphones, I liked the DGX-660’s piano tone a little bit more. The two main features of the CGP-700 are its screen and speaker system. First of all, the CGP-700 comes with a 5.3” color touch screen, which provides an extremely convenient user experience, and allows you to change all the settings/parameters on the fly. It’s much more enjoyable and easier to use than the DGX-660’s monochrome LCD. Secondly, the CGP-700, just like the DGX-660, comes with a stand. But, in the case of the Casio, aside from the four speakers on the keyboard itself there’re two low-frequency speakers built into the stand, which in total gives you 40W of total amplification. 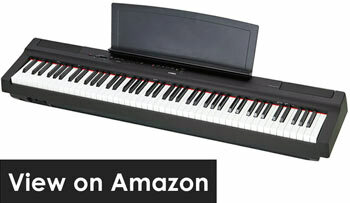 No other digital piano in this price range can offer such powerful sound. Another advantage over the DGX-660, is that once the CGP-700 is detached from its stand, it becomes a compact, portable instrument, which you can take to gigs, rehearsals and move around more easily. The size and weight of the keyboard itself are almost identical to the PX-160 model. As for the sounds and features, the CGP-700 boasts 550 built-in sounds, 200 accompaniment styles, 128-note polyphony, layer/split functions, duo mode (not available on the DGX-660), 17 reverb, 16 chorus and 6 delay types. The CGP-700 features a 17-track MIDI recorder with memory capacity for 100 songs. You can also record your music using a built-in Audio recorder (WAV format). In general, the CGP-700 and the DGX-660 target the same consumers, and are very similar at their core, so it all comes down to personal preferences and what you appreciate the most in a digital piano. As you can see, there’re plenty of really good pianos at this price point that will satisfy even the pickiest intermediate players. And it’s really not that difficult to make the right choice as long as you know what you’re looking for. The first 3 digital pianos (P-125, ES110, FP-30) are perfect for those who appreciate mobility and want to be able to easily move a keyboard around and gig with it. At the same time, there are also perfectly suitable for home use, especially considering that there’re home bundles available on Amazon, which include a furniture stand and 3-pedal bar. But in this case, you may also want to consider the 4th piano (PX-770), which is a great instrument with a console design and 3-pedals. It would be a more affordable option, but only suitable for home use as it can’t be used without its stand. The last two pianos (DGX-660, CGP-700) would be the best options for those who don’t just want a regular digital piano but a little studio, an entertainment center and a piano all in one instrument. In case you feel that we left out some other great digital pianos under 800$, don’t hesitate to let us know. Well, our top 6 list is based on what we believe are the best digital pianos under $800 available on the market. This might not suit you, so we prefer you to have a look at all the information below. That will help you choose your digital piano and understand the important aspects and characteristics of these instruments. 2) Semi-weighted – common action for budget portable keyboards (usually cost <300$). Spring-loaded mechanizm adds more resistance to the keys compared to the non-weighted action. If your main goal is to play piano that you’ll definitely want a keyboard with hammer action keys. It’s the only type of action that feels close to real piano keys and will help you build proper finger strength and technique, making it much easier to transition to an acoustic in the future. Touch-sensitivity (also called velocity-sensitivity or touch-response) is a very important feature of any keyboard or digital piano, which means that the volume produced by the instrument will change depending on how hard or soft you play the keys. It’s not a big deal nowadays as almost any $150+ keyboard have touch-sensitive keys regardless of its action type. Along with the “standard” keyboard mode, digital pianos usually offer additional modes for using two instrumen sounds at the same time or playing four hands. You can use this function to match your piano’s pitch finely to that of other instruments or music (old piano, tape). Also called USB to Device port or USB drive port. 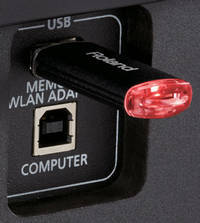 The port is used to plug in a flash drive into the piano to exchange files quickly and easily. There’s no right or wrong choice here, Vincent. From, what you’ve provided, the D1 is definitely a good choice. The RH3 is very nice and reliable action as well. In my opinion, it’s not inferior to the ES110’s action by any means, but again it’s mostly a matter of personal preference. Thanks Lucas, i received and tested my new Korg D1 and the action is really good. However i am a bit concerned about the sustain. It’s very very weak, despite using different pedals (the little original one and a DS-1H). Is it normal ? Lucas, I hope you can make a in-depth review of Casio PX-S1000 soon. How does it compare to Roland FP-10? Thanks. Hi Jay-R, I’m going to review both of these keyboards in the nearest future.